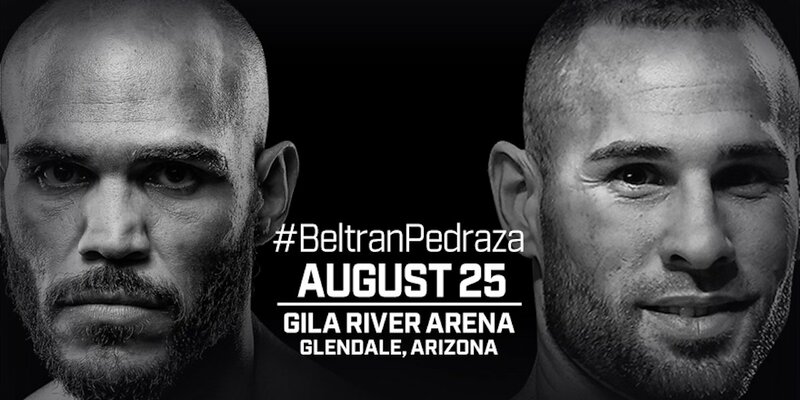 Raymundo Beltran and Jose Pedraza, seasoned warriors both, Beltran especially, will fight on Saturday night, with the Mexican tough guy defending his hard earned WBO lightweight title for the first time. Though the upcoming fight is another addition to the long-running Mexico Vs. Puerto Rico rivalry (Pedraza hailing from Caguas, Puerto Rico), Saturday’s fight has another story attached: the winner has already committed to fight the exceptional Vasyl Lomachenko next. Promoter Bob Arum has confirmed how Saturday night’s winner will face the returning WBA/Ring Magazine 135 pound king and current pound-for-pound number-one (in the opinion of almost everyone) on December 1st. So who will win on Saturday, and who has the better shot at sensationally derailing “Hi Tech”? Beltran, 37 years old, as tough and as experienced as can be and currently 35-7-1(21) finally became a world champion back in February, when he decisioned Paulus Moses in a rough and tough rumble in Reno. Now finally – after heartbreaking setbacks in fights with Ricky Burns, Terence Crawford and Takahiro Ao – Beltran will be in no mood to let go of his title. Pedraza, at age 29, will have youth on his side, yet the accomplished amateur who has previously ruled as the IBF 130 pound champ has also earned himself plenty of experience. At 24-1(12) Saturday’s challenger has the much more attractive pro record, and Pedraza has beaten quality names like Tevin Farmer, Andrey Klimov and Edner Cherry, but most fans seem to feel the bigger, more experienced at the weight Beltran will get the win. Pedraza, having lost his IBF belt to Gervonta Davis by KO last January, has won just two fights as a lightweight. Will Beltran prove to be too rough, tough and strong for him? It could prove to be an exciting battle, and both men have undeniable resiliency, but the prize, such as it is, promises to be an even harder fight against the sublime southpaw from Ukraine. As good as Beltran and Pedraza are, has either man got much more than an outside chance of beating Lomachenko?